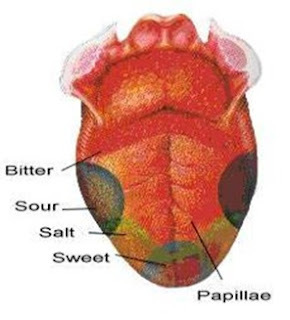 It is a condition in which the person have very less ability to taste anything (sweet, sour, bitter, or salty). The complete loss of taste is known as ageusia.it is one type of taste disorder. Hypogeusia is normally temporary condition and can recover itself. If the hypogeusia is the result of any infection, allergy or minor medical problems then the taste can be fully restored after treating that problem. The gums and teeth become bloody that the person can’t eat or drink anything. The foul smell generated from mouth. There can be many other abnormalities with the sense of taste and this can be an indication of many other local problems in mouth and neurological problems that are not able to carry signals to the brain and disorders in the brain that effect the taste centers which process the signals. The sense of taste is commonly considered as non essential but it helps with regulating the appetite and it also plays an important role in the regulation of nutritional intake and maintaining a healthy life. In hypogeusia, the appetite is ultimately effected and the body’s ability to signal for specific nutrients ultimately effecting the proper nutrition of the person. Poor mouth hygiene increases the risk of mouth infection. Gastro esophageal reflux disorder (GERD) it is a condition in which the stomach acid rises up to the esophagus or mouth destroying the taste buds. Xerostomia (dry mouth) due to decreased production of saliva and salivary glands problems may also lead to hypoguesia. Radiation to mouth, neck or head can damage the taste buds. Transient ischemic attack (TIA) a temporary disturbance in blood flow to brain. Alzheimer’s disease and Parkinson disease also brain tumor can cause hypoguesia. Stroke and traumatic head injury may also cause hypoguesia or ageusia. Gums turned brownish then white. Multiple lesions on gums, tongue, throat and palate. Sore and bloody mouth and gums. Only some places on tongue can raise taste. Foul breathe along with foul taste and foul smell. Sudden Weight loss occurs in patient with hypoguesia. Anorexia occurs due to less attraction towards food. Oral thrush is the common symptom of hypoguesia. Most of the time patient don’t feel any taste. Too much pain in the gums and teeth also in throat and mouth. Sometimes patient is not able to even smell anything properly along with the taste. Oral theophylline treatment improved the taste and smell sense after 2 to 12 months of treatment in limited no. of patients. Intranasal theophylline treatment is more effective and safe as compare to the oral theophylline treatment. If the patient is a smoker then he should quit smoking. NSAIDS are prescribed to reduce the gum and toothache. Various antibiotics are prescribed to treat if there is any infection. Sometimes, the hypoguesia is permanent and could not be cured.